Police on Tuesday arrested two youths and remanded them to 14 days judicial custody for theft in eastern Assam’s Jorhat district. 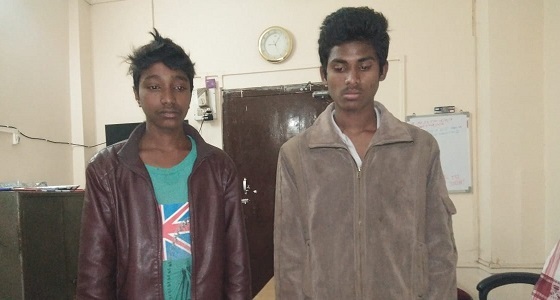 Based on CCTV footage, one Sujit Hela (19) and Pratap Hela (20), both residents of Harijan Colony in Jorhat, were arrested on charges of stealing from a shop at Rupahi Ali. Some stolen items were also recovered from their possession. A case number 134/19 has been registered at Jorhat police station. In another incident of theft, several shops in the Bongal Pukhuri area were broken into last night and goods and money stolen. No arrests have been made in this connection. In another incident of murder police on Monday arrested one Konkon Saikia (32) on charges of murdering his uncle Trithanath alias Boli Borbora, resident of Bohotiagaon under Pulibor police station on the western outskirts of the town. A police source stated that Konkon, who used to stay with his uncle, reportedly had a quarrel with Tirthanath, outside the house and then allegedly hit him (Tirthanath) on the head. The victim succumbed to his injuries at the Jorhat Medical College and Hospital where he been taken.